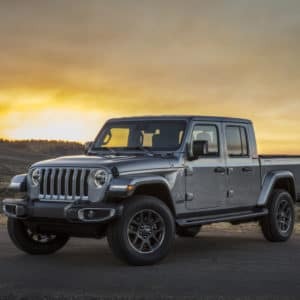 Pre-Order Your 2020 Jeep Gladiator Today! 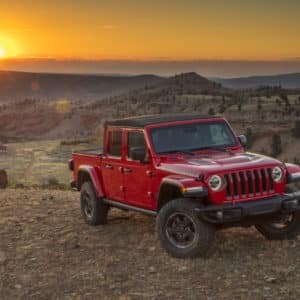 The only open-air pickup truck in the industry! 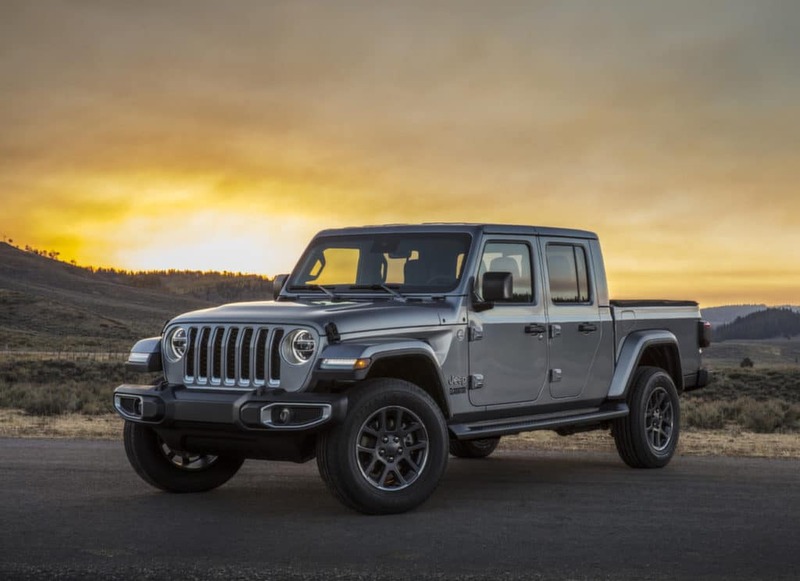 Wherever adventure leads you, the All-New Jeep® Gladiator lets you feel closer than ever to the outdoors. 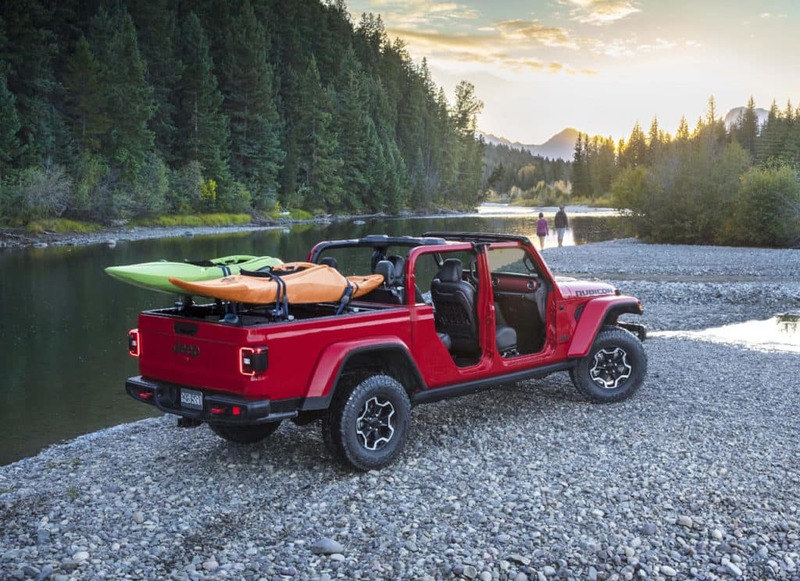 There are both hardtop and soft top options, to give you different ways to let the sunshine in! 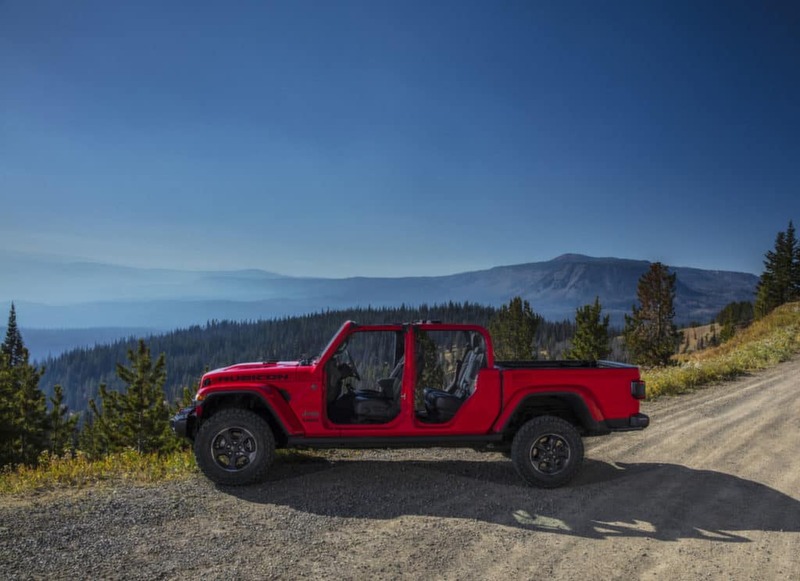 For the ultimate open-air freedom, fold the windshield, remove all four doors and feel nature like never before. 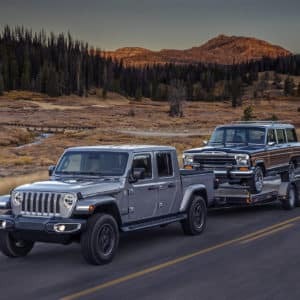 The All-New 2020 Jeep® Gladiator delivers Best-in-Class towing and payload with a towing capacity of up to 7,650 pounds and a payload of up to 1,600 pounds. 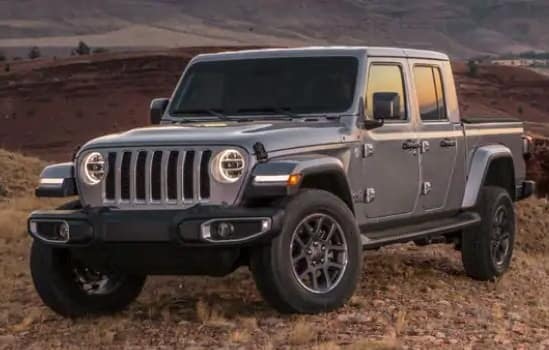 Gladiator wears the Trail Rated® badge–a sign that it can live up to the demands of extreme terrain–and is equipped with heavy-duty Dana® 44 front and rear axles that deliver exceptional strength, durability and performance. 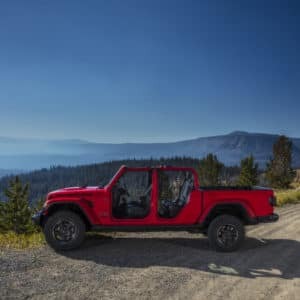 Open-air freedom comes standard on Gladiator thanks to the zipperless Sunrider® soft top and available three-piece Freedom Top® hardtop. 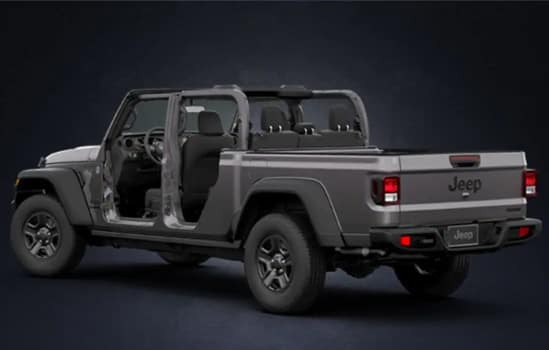 Both provide multiple ways to let the sun in, while removable doors and a fold-down windshield deliver a wide-open experience. 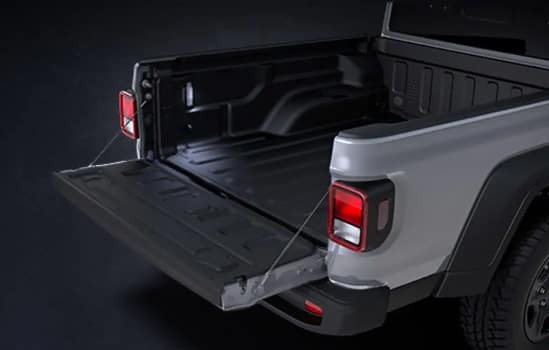 The five-foot truck bed combines with an easy-to-lower three-position tailgate and available roll-up tonneau cover to give you versatile cargo carrying options. Expressive design. Dynamic stance. 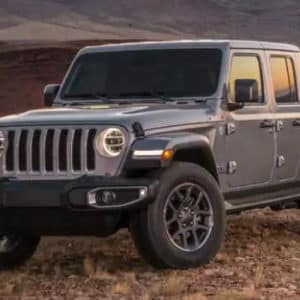 Gladiator Sport S is outfitted with 17-inch tech silver aluminum wheels that are visually stunning standing still and even more impressive in motion. 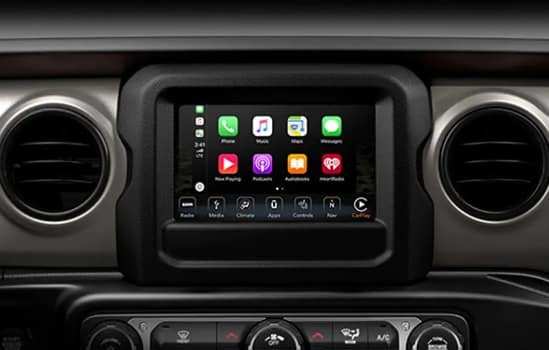 The available Uconnect® 4 with 7-inch touchscreen puts your smartphone capabilities right up front where you need them, thanks to a simple interface with Android Auto™ integration and Apple CarPlay® support. Now, you can use your smartphone capabilities with ease while on the go. 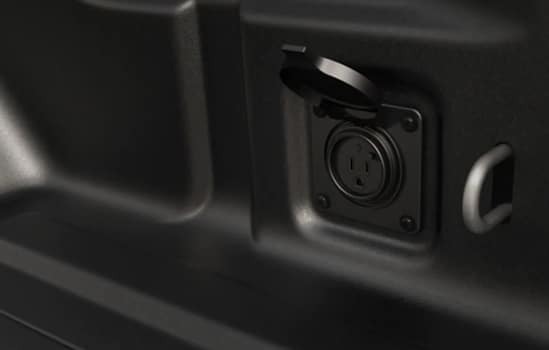 An available weatherproof 115-volt power outlet is located in the bed of the Jeep® Gladiator. 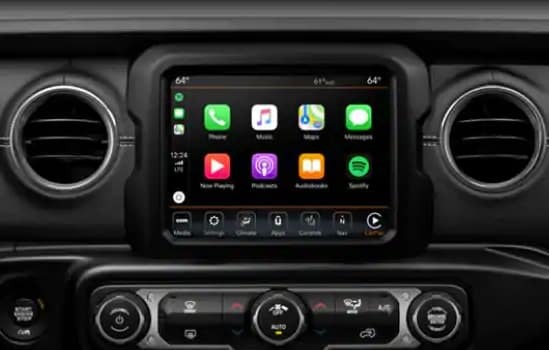 Apple CarPlay® support and Android Auto™ integration put approved smartphone apps right on your Uconnect® system. The available 7-inch and 8.4-inch touchscreens give you seamless access to your mobile world. 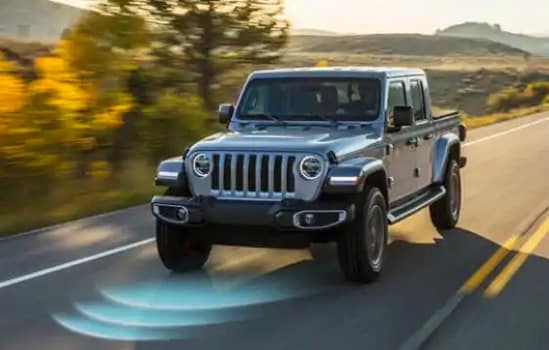 Adaptive Cruise Control automatically decreases vehicle speed when it detects slower traffic ahead, helping ensure you maintain a pre-selected distance. Forward Collision Warning with Active Braking alerts you when it senses a potential frontal impact. If you don’t respond and the risk continues, the system will automatically engage the brakes. 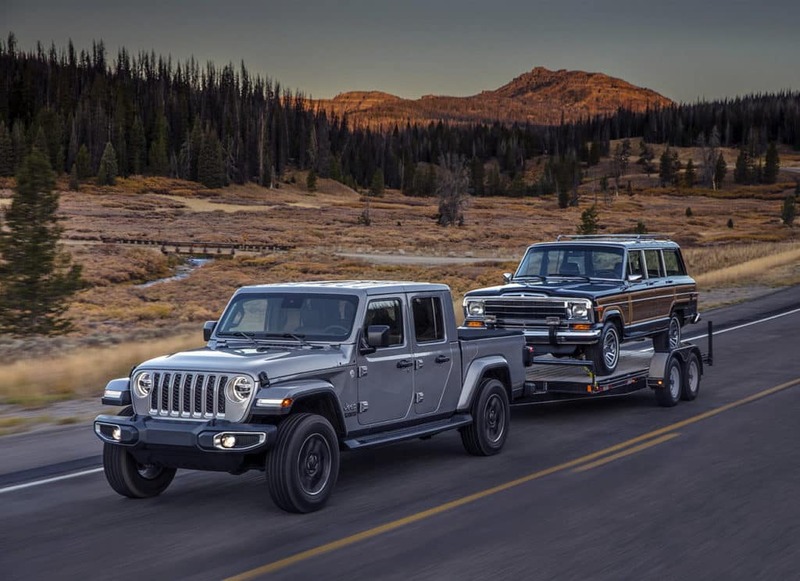 Available signature LED Headlamps combine with body-color fender flares, side steps and 18-inch granite crystal aluminum wheels to give Gladiator Overland a premium appearance. The available leather-trimmed interior puts Overland into a new class of comfort. Interior touch points wrapped in supple leather trim ensure you and your passengers get a premium ride. 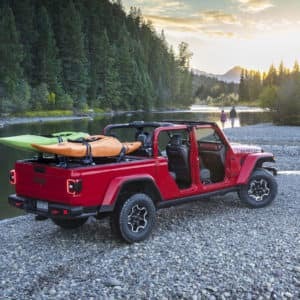 This system allows you to electronically disconnect your sway bar, letting your front wheels drop and compress further, resulting in improved suspension articulation during challenging off-road maneuvers. The Tru-Lok® Electronic Locking Front and Rear differentials lock both wheels on an axle so that they always turn together, regardless of the level of traction available to each wheel individually. 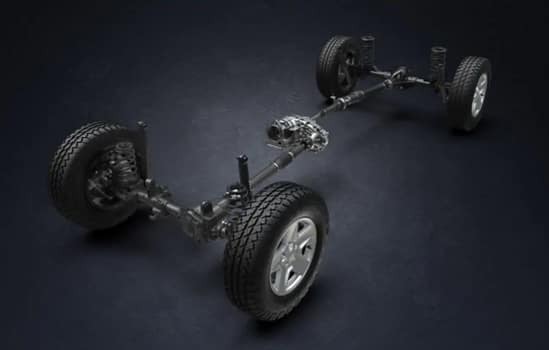 You get the option to lock both the front and rear axles or just the rear axle to help keep the vehicle moving forward in all types of terrain. An available TrailCam off-road camera helps keep you aware of obstacles on the trail ahead. A camera mounted in the front grille captures the view in front of the tires and displays it on the Uconnect® touchscreen. Dynamic tire path gridlines help select the best vehicle path to successfully negotiate difficult obstacles. 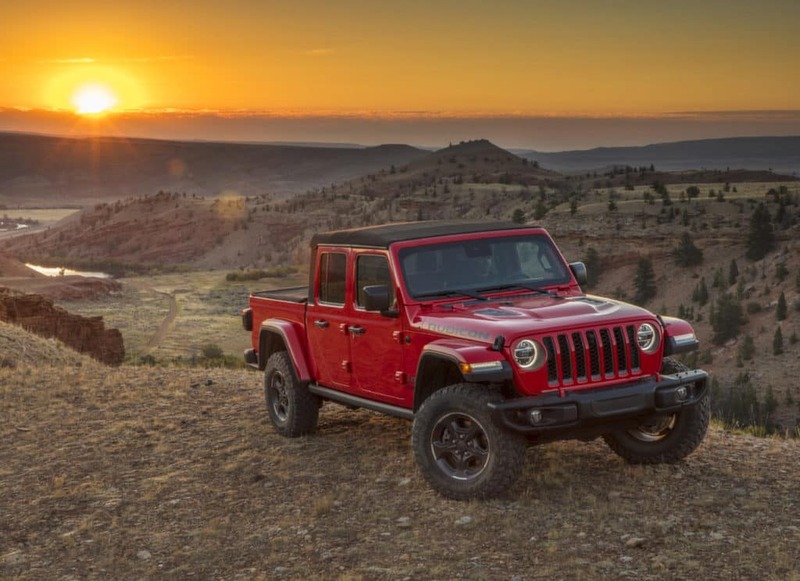 The Jeep® Gladiator Rubicon is equipped with standard 33-inch all-terrain tires. 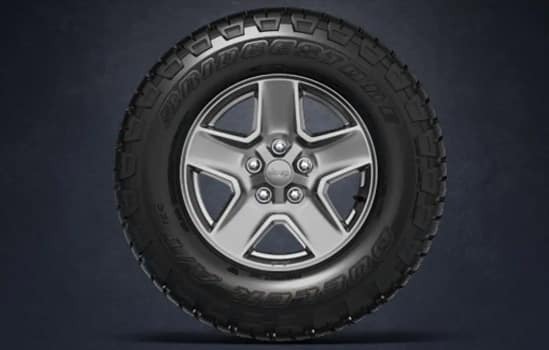 Tough, durable and capable of delivering impressive traction, these tall tires help give Rubicon an outstanding 11.1-inches of ground clearance.